Woodlands, originally called The Provincial Lunatic Asylum, was built in New Westminster, British Columbia in 1878 on what was a Cricket Pitch. The hospital was built to accommodate the over flow of patients from the Victoria asylum. Between 1884 and 1900 a third floor was built onto the original building, an East and West wing was built, a Central Administration block, an additional wing and the Oak and Maple cottages were added on to the asylum. In the 1880’s work therapy was introduced and patients were put to work in the gardens (producing 20,000 pounds of vegetables a year), building a summerhouse and tennis court and other forms of labour. In 1897 the Hospital for the Insane Act was passed and the hospital was renamed the Provincial Hospital for the Insane (PHI). 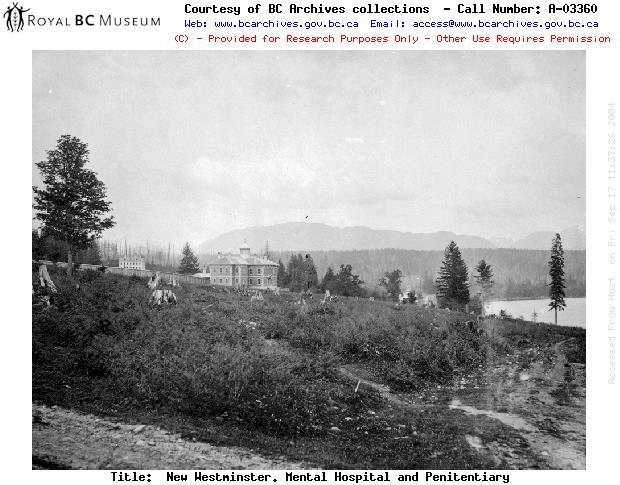 By 1900 over 300 patients were living at the asylum and in 1904 Riverview Hospital, originally named Essondale, was built in Coquitlam; mostly by patients that would eventually be transferred to the facility to alleviate the overcrowding. By 1916 the population of the PHI had reached over 500 and in 1920 the hospital stopped admitting drug addicts. In the 1940’s the Mental Hospital Act was amended so that the words lunatic and insane were no longer used. There was also more construction at PHI with the addition of the school building which was later known as the old school. Up until 1950 the facility housed developmentally disabled people, unwanted and physically handicapped children and psychiatric patients, in 1950 PHI was renamed Woodlands School (in 1974 it was renamed Woodlands) and the adult patients were transferred to other facilities. Woodlands began to house disabled and unwanted children and by the late 1950’s its population jumped to approximately 1400. There were more cottages built during the 1950’s including a pediatric unit with 300 beds. In 1965 the Mental Health Act was introduced which brought around a lot of changes and eventually in 1970 residents of Woodlands began to be placed in group homes. In the early 1980’s the Provincial government set out to close Woodlands and by 1996 Woodlands was completely closed down. 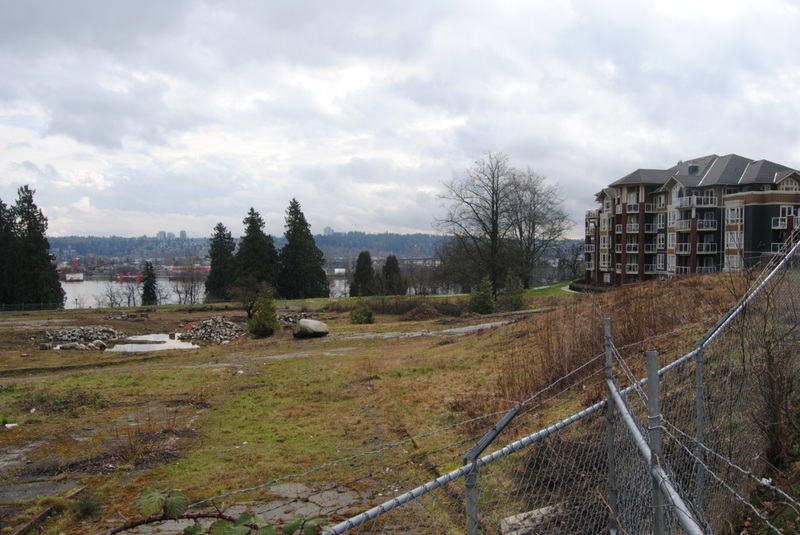 The buildings sat abandoned for over a decade until a fire in 2008, the biggest in New Westminster’s history, destroyed most of the buildings; the last building was torn down in 2011. The land was sold to a development firm who built high rise apartments and townhomes, the community is now called Victoria Hill. Woodlands was closed in 1996 after many years of allegations of sexual, physical, and mental abuse. In 2001 Dulcie McCallum published a report for the provincial government called The Need to Know: Administrative Review of Woodlands School which stated that abuse had occurred not only at Woodlands but throughout the entire system. In McCallum’s report she recommended that the government apologize to and compensate the victims. In 2001 the We Survived Woodlands Group (WSW) was formed by former residents and their families, many of whom had been active in trying to get Woodlands closed, in an attempt to get compensation from the government. In 2002 survivors filed a class action lawsuit on behalf of everyone who had been a resident at Woodlands. In 2005 the group put forth a brief called Do the Right Thing which asked for the government to settle out of court, the government refused. Although the WSW had asked for the government to settle out of court and for everyone to receive the same amount, the government rejected this and continued to have each person come to court. In 2007 the government filed an application, and won, to refuse compensation to anyone who had been a resident at Woodlands before August 1974 because that is when the Crown Proceedings Act came into effect and which meant that the government was not responsible for things that occurred before then. A settlement was approved in 2010 that will provide between $3000 and $150,000 to each person and counseling to those who can prove that they had been subjected to some form of abuse; anyone wanting to put in a claim must do so by 2013. Between 1920 and 1958 over 3000 residents of Woodlands were buried in the cemetery next to it. In 1977 the construction of Queen's Park Hospital began next to Woodlands. The cemetery was to be made into a park so the city ordered that the head stones be removed; over 1800 head stones were removed. It was later discovered that some of the headstones were uses to build a staff barbeque patio and used to build a retaining wall at Woodlands and sent to construction sites. 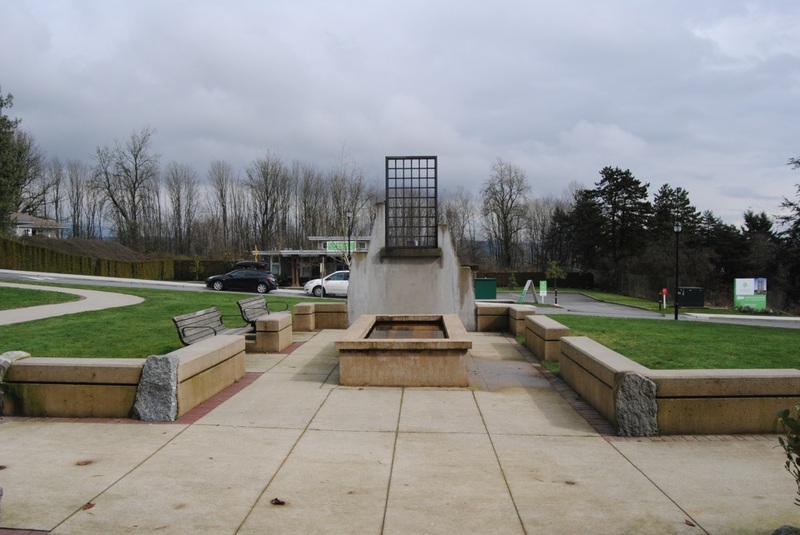 In 1999 a Woodlands Memorial Garden was in the early stages of planning by the provincial government, BC Self Advocacy Foundation and the BC Association for Community Living. The garden which consists of a sculpture called the Window Too High and a path way with pillars with the names of the people who died at Woodlands and some salvaged headstones on them was designed by Erik Lees and Associates and completed in 2007.